﻿Kaylee Erlewein is a professional violinist. She is a member of the Traverse Symphony Orchestra and a first violinist with the Great Lakes Chamber Orchestra. 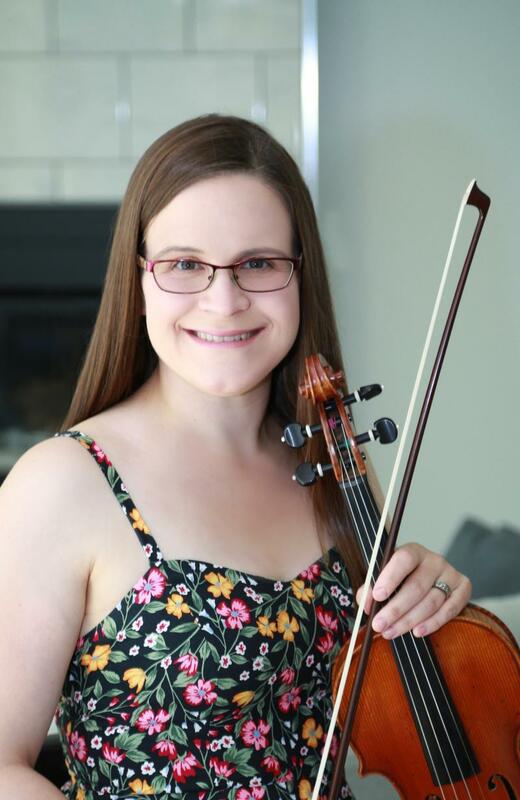 As a Traverse City native, she studied with Beth Weston and played with the Traverse Youth Symphony Orchestra before attending high school at the Interlochen Arts Academy, studying with Paul Sonner. She continued violin studies with Dmitri Berlinsky at Michigan State University where she earned her Bachelor of Music in Music Therapy. Other teachers include Blair Milton and I-Fu Wang. She has been playing at weddings and other events throughout Michigan as a soloist and chamber musician for more than 12 years. ﻿She is active gig violinist for musicals and churches around the area. She has also played as a member of the MSU Symphony Orchestra and as a substitute violinist with the Lansing Symphony Orchestra. Kaylee maintains a violin studio from her home in Traverse City. While at MSU, Kaylee discovered that in studying and practicing music therapy she could combine her love of music with her desire to assist those with special needs. She completed her Bachelor of Music in Music therapy at MSU in 2011, graduating with honors. She traveled to Atlanta, GA to do her music therapy internship in the Fulton County School System working with self-contained special education classes. A resident of Traverse City, MI, Kaylee was the music therapist at Children’s Therapy Corner in Traverse City before the birth of her daughter, Audrey in 2014. In her spare time, Kaylee enjoys spending time with her husband Joe and their children. She loves to sail on Elk Lake during the summer and to curl up with a good book on the porch swing.